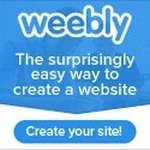 Weebly is a renowned Do it yourself website builder. It has drag and drop features and if you dont have a website, then it is a fantastic option you should consider. There are various plans of weebly. You can start with basic (which is free) and once you are happy with the design or you start getting traffic, or you learn what there is to learn, you can move on to the advanced plans. This way, you are not dependent on a designer for web design (though if you need website design you can always contact us). I get regular Enquiries for E-commerce portals and although we offer web design services for E-commerce and websites, Shopify is a kind of Do it yourself E-commerce builder for you. With Shopify, you will be able to start your own E-commerce store with basic knowledge of computers. But do note – you need a fair knowledge of a CMS to get going. 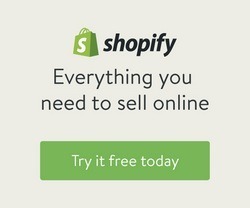 Thankfully, Shopify offers various tutorials to help you along the way. It is a good option to have excellent E-commerce templates at low budgets. To start a website, you need a host, and there is no other web host which is as good for start ups as Bluehost. It is just so simple to use with all its scripts and tracking, that you are bound to love it. If you are confused which plan to start with, you can alsways contact me and i will guide you. Generally the starter plan is for Static websites with very low traffic. But you need the pro plan if you are expecting to serve medium level traffic on your site. 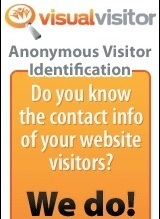 Visual visitor – Who visited your website? Visual visitor is a tool i recently checked and i loved the concept. A business man needs leads from their websites and not visits. If visits are not converting, then plain old visits to the website mean nothing. Enter Visual visitor – The program which can give you contact information (Email) of visitors who just visited your website. Isn’t that cool? Naturally, the ROI from Visual visitor is supposed to be excellent because you catch the customer when they are thinking of buying. Do check the tool out. Another method to convert website visitors to clients is to solve their queries, especially if the on page copy is not solving it. 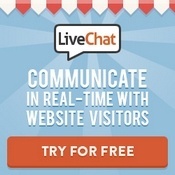 For this i recommend Live chat. If you have ever used Yahoo messenger or Whatsapp, you will be right at home with Live chat – Its that simple. You can also set it up to pop up after your reader is on site for 20 – 30 seconds or when it is a repeat visit. There are many tools under the hood and it does not slow down your site at all. A must try tool for all marketers. The professional google suite affords you multiple things but the most important one is a white labelled Email. So you email becomes [email protected] & it immediately gives a professional boost. You or your employees with their emails can access it anywhere via Gmail. Besides this, you get 30GB of storage in Gmail, Google drive, Google Docs. 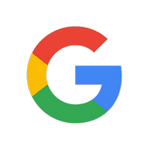 Rather than having your own Email server which is tedious to manage, just use the Google Suite.